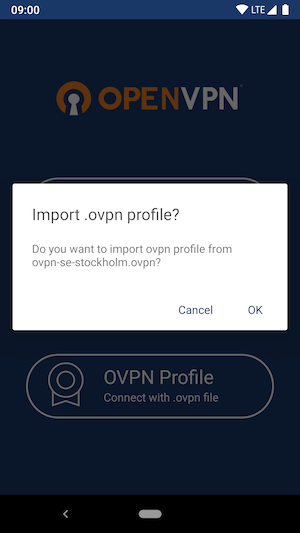 The first thing you need to do in order to connect to OVPN is to install OpenVPN Connect for Android. Open the configuration file that you downloaded. 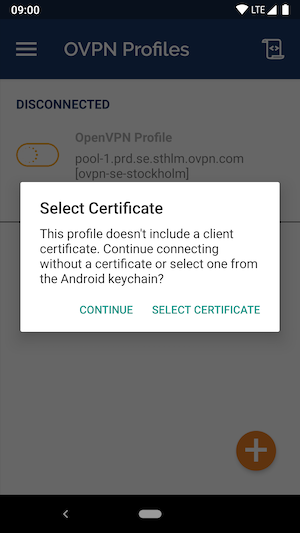 OpenVPN Connect should start and allow you to import the profile. Click on OK. 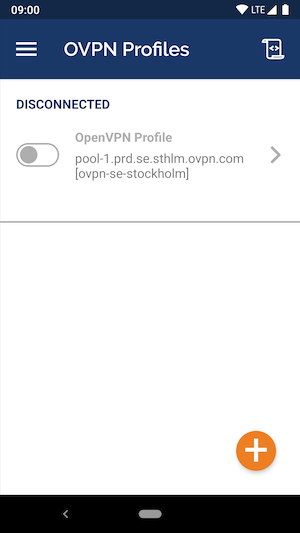 Enter you credentials for your OVPN account and click on Add in the top right corner when you're done. Connect by clicking on the grey toggle that appears next to the profile name. 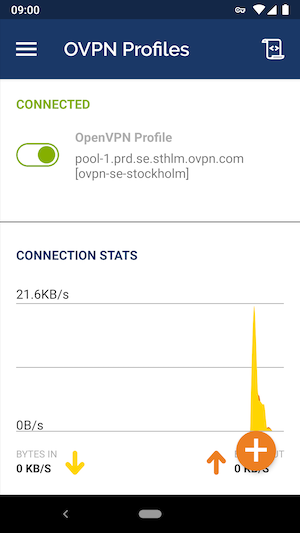 We suggest changing some of the default settings in OpenVPN Connect. 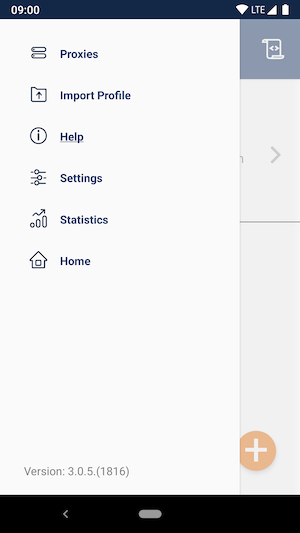 Click on the menu icon and choose Settings.